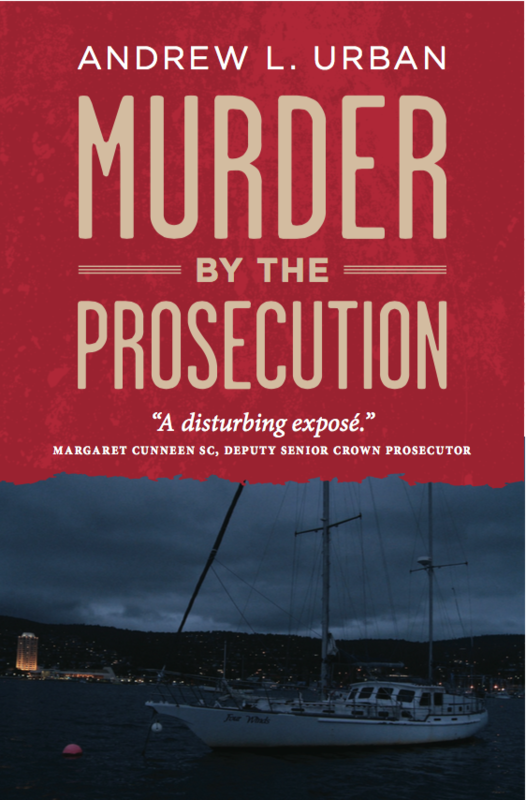 Andrew L. Urban’s new book, Murder by the Prosecution, is now available for pre-order from Wilkinson Publishing Exposing some grave mistakes in Australia’s not-so-trustworthy criminal justice system, film critic-turned activist journalist Andrew L. Urban recounts how his life is changed when he is drawn into the field of wrongful convictions after reviewing a documentary about the case of Hobart grandmother, Sue Neill-Fraser, convicted of murder … without evidence. And he finds a man whose evidence could have destroyed the testimony of the Crown’s key witness against Neill-Fraser but was never interviewed by police. Driven by disturbing discoveries over five years of research and writing – about five extraordinary cases* – Andrew interviews specialist legal academic Dr Bob Moles and others as he charts the damning list of errors. Andrew brings together his writings and interviews on the subject as well as his correspondence with legal academics and politicians, including Attorneys General. In conclusion, he lists action points that if implemented would help reduce the incidence of wrongful convictions. This entry was posted in General articles. Bookmark the permalink.